Alex Biese and Felecia Wellington Radel, co-hosts of our Fan Theory pop culture podcast, check out “Cyborg Cyber Spin,” the DC Comics-based new ride at Six Flags Great Adventure in Jackson. It all began on July 1, 1974, when Warner LeRoy first opened the gates. LeRoy’s father, Mervyn LeRoy, was the producer of the celebrated film, “The Wizard of Oz,” and his mother, Doris Warner, was the daughter of Warner Brothers executive Harry Warner. Originally, LeRoy had planned to name the theme park “Enchanted Forest and Safari Park,” but ultimately landed on the name Great Adventure. 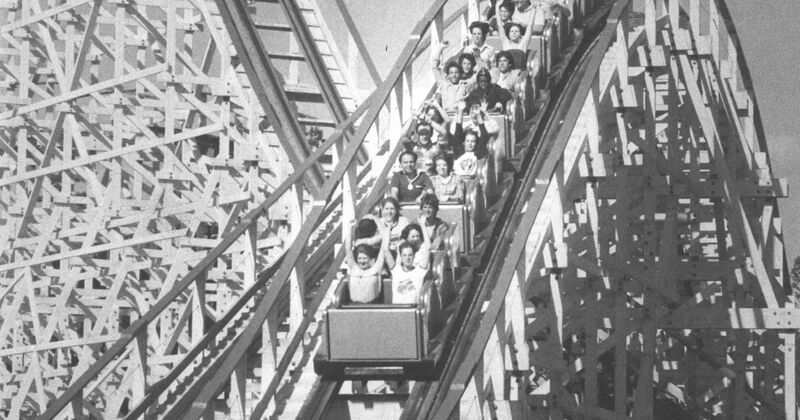 Read more about Six Flags’ history in this 2014 column from Erik Larsen.